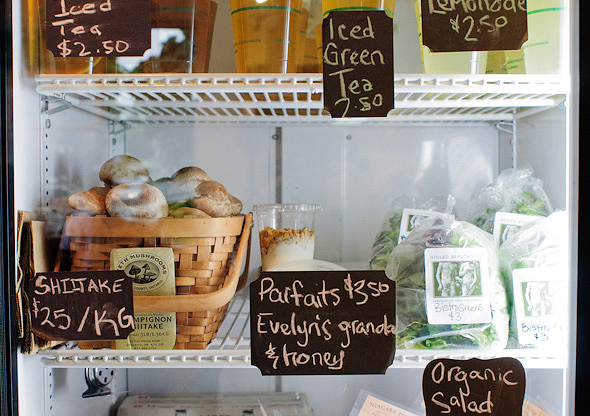 Creme Fraiche Market Cafe is pretty much an indoor year-round farmers' market. 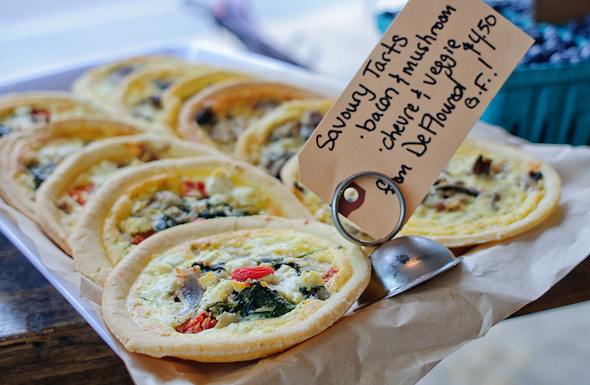 Scaled down some, of course, but with plenty of artisan and all-natural goodies readily on offer. The new shop is located in the heart of Annette Village, and is the realization of a labour of love for Constance Dykun and Rachel Silva. The last time I caught up with the women they were in the midst of a zoning battle with the City of Toronto, but when I stop by on a bright summer afternoon it's clear that such struggles are well in the past. Though only open for the past month or so, Creme Fraiche looks as though it has been on the block for ages. Not in a "well worn" sort of respect, but rather, in the way its external visage seems to effortlessly blend with neighbouring homes and shops. There's the Creme Fraiche yellow cheese bike parked out front, which hints at the type of cottage kitsch you'll find inside. 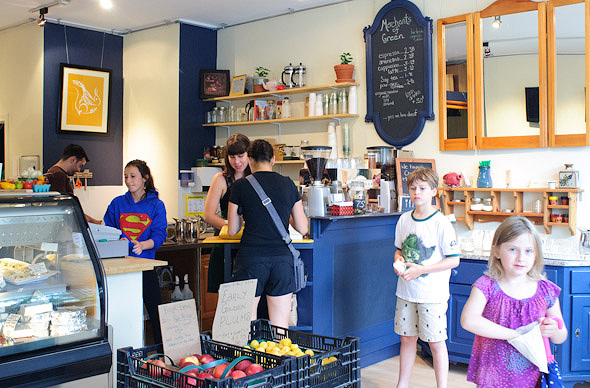 Rachel and Constance are at a market on the particular afternoon I stop in, but I chat with Christopher as he cleans the shop's espresso machine and tells me a bit about the goods in store. 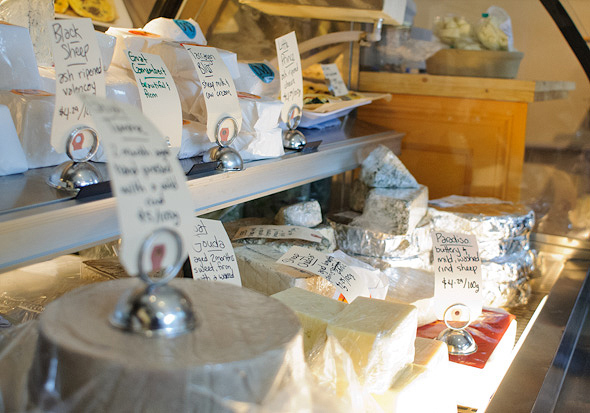 "The cheeses, obviously, are our big thing," he says, referring to Creme Fraiche's collection of Monforte Dairy cheese. "People kept asking [Rachel and Constance] where they could get some outside of the farmers' market. At that time, unless you wanted to drive out to Stratford, there really weren't a lot of options." So Rachel and Constance, who had and have been doing the farmers' market circuit for some time, decided to give the cheese a permanent Toronto home. 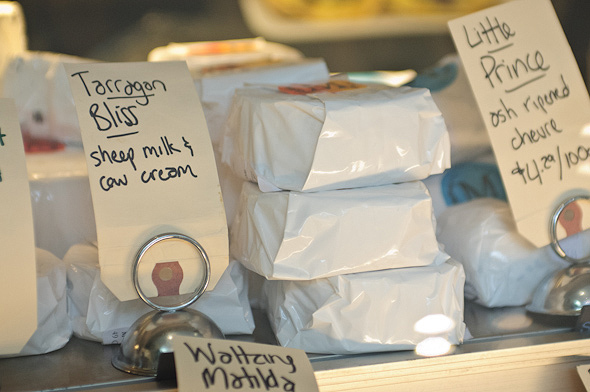 Their shop now hosts an assortment that includes aged sheep's milk Piacere cheese made with rosemary, juniper, and chillies ($4.29/100g), raw goat's milk Tomme ($5/100g), sheep's milk cheddar ($3.25/100g) and Christopher's pick, the Waltzing Matilda buffalo milk cheese with ash rind ($5/100g). I sample the later and its creamy texture and mellow flavour certainly lives up to Christopher's recommendation. But Creme Fraiche offers much more than just cheese. 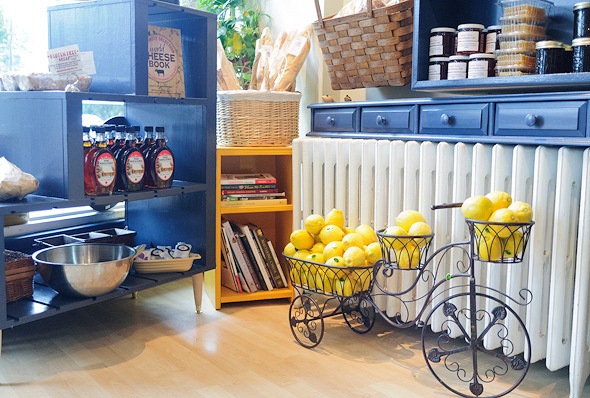 With Merchants of Green espresso and freshly pressed lemonade available in abundance, shoppers can indulge in their favourite farmers' market picks all in one place. There's ChoSol chocolate, fresh cinnamon buns ($2.00), full quiches ($15.00) and more from Allie's Baked goods, an assortment of St. John's breads, and rows of preserves from From These Roots . You'll also find fresh produce from Bizjak Farms and others. It's quite a lot under one roof, but the convenience factor is unparalleled. Did I mention the gluten free options and daily menu of hot eats, such as grilled cheese sandwiches ($5.25) or fresh green salads ($4.50)? Yeah; it's a lot. Even more, Christopher tells me that Creme Fraiche also hosts a weekly farmers' market on Wednesday afternoons (3 p.m. to 7 p.m.), where local vendors convene and sell right in front of the shop. 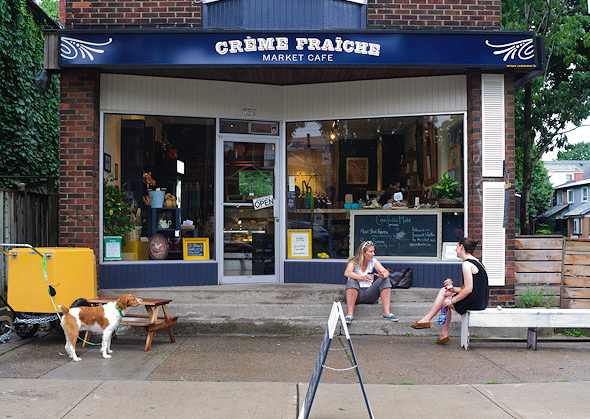 And, of course, for those who can't make it, Creme Fraiche is open Tuesday through Sunday from 8 a.m. to 8 p.m.